Before conservatives start to cheer, Gallup said the gap used to be 21 points and a handful of the state numbers fall in the margin of error. But the survey still shows a large swath of red and pink states bookended by the whole West Coast, New England, and the mid-Atlantic, including the Washington, D.C. area. 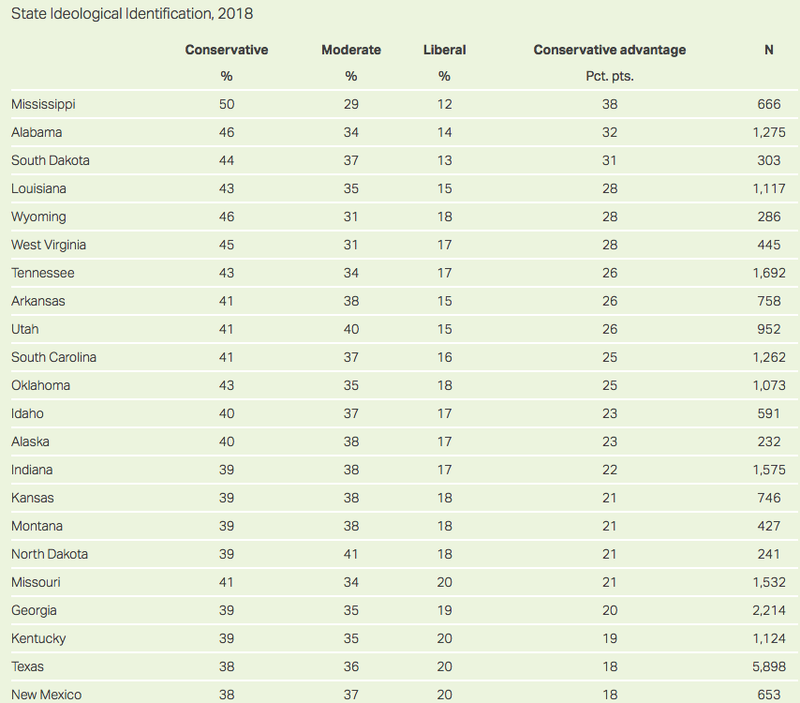 Screen shot of Gallup's most conservative states. 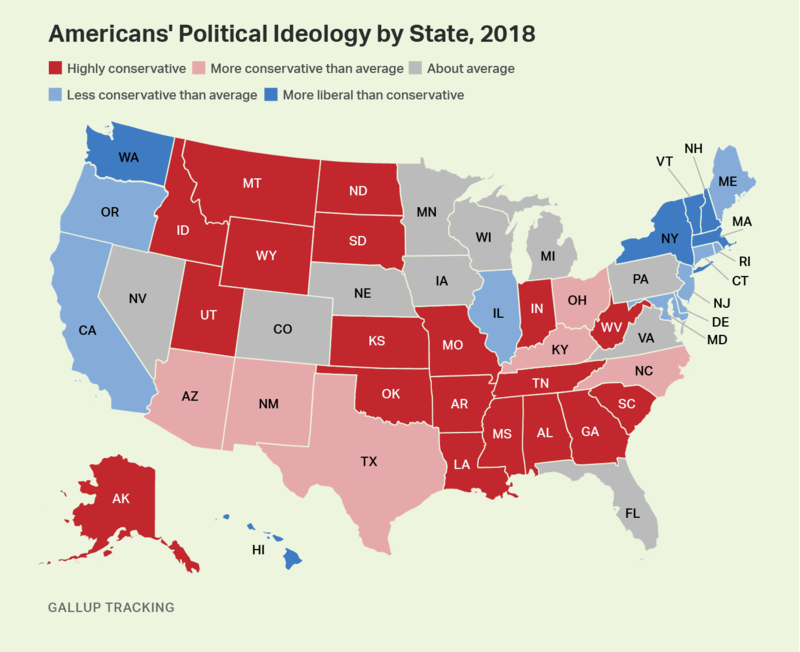 The only Midwest state shaded light blue, which signifies “less conservative than average,” is Illinois. 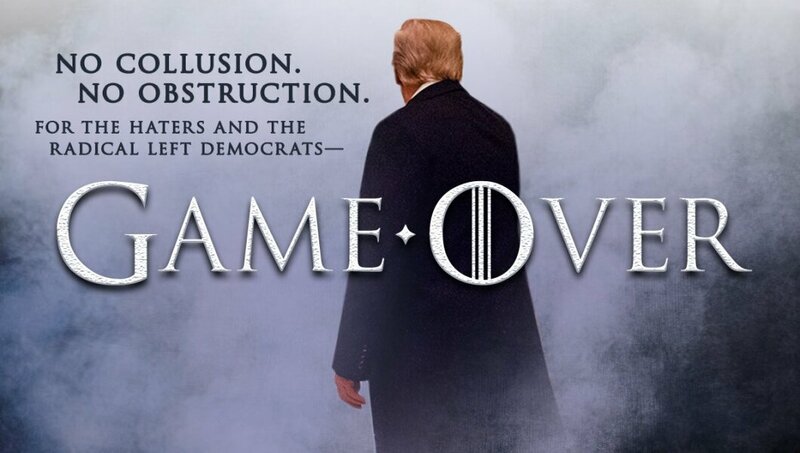 This week’s White House Report Card finds President Trump riding high after the report from Special Counsel Robert Mueller was released, clearing him and his team of colluding with Russia to win the 2016 election and free of obstruction charges. 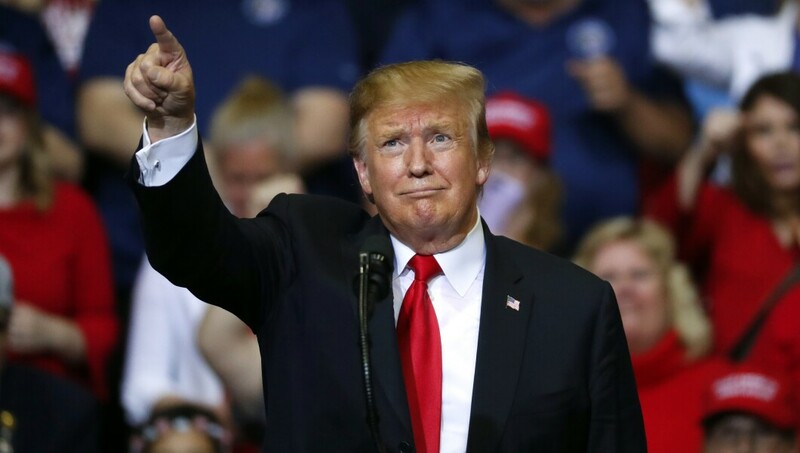 A new poll shows a jump in Republicans who believe President Trump attempted to stop investigations into his administration and Russia, though that figure is only slightly more than a third of party members.